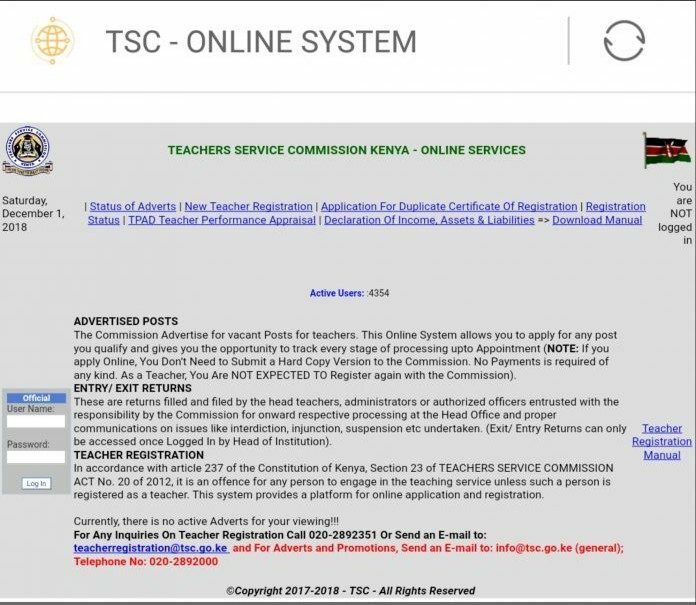 Teachers Service Commission, TSC, has directed teachers to update their phone contacts on the Teachers’ Management Information System, TMIS by 12th February, 2019. Through a circular signed by TSC CEO Dr. Macharia, the TMIS system will help the commission to transmit alerts in case of any financial transactions such as loan applications and processing, and/or other third party transactions. Here is the full circular from TSC. “In order to improve communication with all its employees, the Commission has installed a Bulk SMS System which will also be linked to other human resource and payroll functions. In particular, the system will transmit alerts in case of any financial transactions such as loan applications and processing, and/or other third party transactions. This will help to comprehensively address any potential cases of fraud or payroll tampering. Enter afresh mobile numbers for all TSC employed teachers in the specified section of TMIS data base. Ensure that only the mobile number registered in the name of the teacher is submitted since it will be linked to teacher’s payroll and HR records. It will, therefore, be in the interest of any teacher without a mobile line to immediately acquire one for this purpose. Personally confirm the accuracy of the mobile numbers entered into the TMIS system. County and Sub County Directors will monitor the TMIS reports to ensure full compliance by all institutions. Type teachersonline.go.ke into your browser. Log into the officials’ page by entering the ‘User Name’ and ‘password’; as given to the principal by the TSC’s ICT Department. On the TMIS home, click on ‘TEACHERS’ tab indicated as 4. Teachers. This opens a list of all teachers in the institution. Move to the rear right of the window, and click on edit icon under the ‘ACTION’column. The teacher’s details will be opened in edit mode. Enter the verified teacher’s mobile number correctly and save the changes by clicking on the ‘SAVE’ icon; under the ‘ACTION’ column. Repeat this for all teachers at the institution. My joy is to inform you.